Carol Stratton talked about the various architectural styles and important imageries on Wats from her book, What’s What in a Wat. Even for old Thailand hands, her information was interesting and informative. She explained some of the basics of Thai Buddhism and the temples, delving first into the monkhood; noting that initiates are required to shave all their facial hair, including eyebrows before becoming monks. She also noted that they lead rigorous lives as monks, from arising at 4 a.m. to chant, then hitting the streets with their begging bowls to return to the Wat for breakfast at 6 a.m. Their days are filled with study, meditation and monastic duties and their final meal of the day must be eaten before noon. She noted that the trinity of Buddhism can be seen in all aspects of prayer and life; the Buddha, the Dhamma or teachings of Buddha and the Sangha or monkhood and these are symbolically displayed by the lotus flower, incense and a candle that devotees offer up. Additionally, they will prostrate themselves 3 times before the Buddha. She then went on to explain the significant architecture of the various temple buildings, from the Viharn or main assembly hall which always faces East, the Ubosot where sacred ceremonies are carried and houses the Buddha image, and the Stupa which houses relics in a bell shaped tower topped with an umbrella spire. Devotees will circumambulate the stupa in religious ceremonies. Her talk was quite informative as she explained the various symbolic images on the walls and the gods and demons used to protect the Wat. She noted that regional differences in style can be seen and added that Chiang Mai’s more 350 wats within the moat, display the differences of the various ethnic groups that built them. 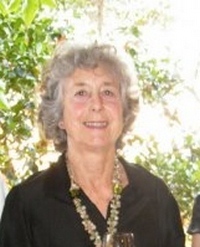 She added that those interested in learning more about temples should meet at Wat Phra Singh on January 30. The Chiang Mai Expats club announced a price increase with members paying 120 baht and non-members 170. Additionally, a coffee meeting will be held at Mokador Coffee shop on Friday, February 11 and the next meeting will be held, as always, the fourth weekend in the month, February 26. After a year’s regrettable absence, the much loved and eagerly awaited Chiang Mai Music Festival will be back in town this coming February 2011. The three co-founders of the Festival, Anne and Kazuyoshi Murase, whose wonderful music salon has become the base for the Friends of the Festival, along with world renowned pianist Korean-born Tong-Il Han, have been working hard behind the scenes to bring simply beautiful classical music to the community of Chiang Mai. It might be well worth making a note of these confirmed dates and venues now in order to avoid the inevitable clash with those institutions in Chiang Mai that do their own thing independently of whatever else is arranged. Seol Kim Hwa is sure to wow festival goers with the beauty and skill of her performance on Friday, February 18. The opening concert will be at 7.30pm in the courtyard of the Chiang Mai Arts and Cultural Centre on Friday February 18th. The program will be a solo piano recital by young Korean pianist Seol Hwa Kim, a seventeen-year-old superstar pianist whom some of you might remember from her stunning performance of Liszt’s Don Juan Fantasy during the last 2009 festival. Since then, Seol Hwa has gone from strength to strength and made her Vienna debut at the Bosendorfer Hall in January of 2010. She is developing a firm reputation as one of the most promising pianists of her generation and it will be a delight to welcome her back to Chiang Mai, a place she loves very much and where she first performed at the Chiang Mai Music Festival when she was thirteen. 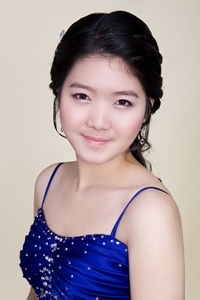 Seol Hwa's piano recital will be followed by the Festival's chamber music concert at the same time in the same venue on Saturday February 19th. This magnificent chamber music concert will feature world famous pianist Tong-Il Han, supported by Korean pianist Helen Lee, Sang-Jun Shinn on violin and Dejan Yu on cello. They will perform three great piano trios – by Haydn in G major, Beethoven in C minor and the B major trio by Brahms. When in his teens, Tong-Il performed in the now legendary Kennedy White House Concerts and since his youth has played all over the world with many of the leading orchestras and conductors. His recordings of Beethoven piano sonatas are monumental and his other numerous recordings include the complete Chopin Preludes, Ballades, and Scherzos, and major works of Schubert, Schumann, Liszt, and Brahms. As Professor of Piano Tong-Il Han currently teaches in Korea, teaches talented young pianists intensively in Seoul, and also is a regular academic visitor to Elisabeth University of Music in Hiroshima, Japan. With his charming and warm personality plus his dynamic musicianship, the audience is in for a great treat. He is being joined by two leading string players Sang-Jun and Dejan from the Daegu Philharmonic Orchestra, one of Korea's most talented ensembles, and by the fine pianist Helen Lee who teaches and performs throughout Asia. The Arts and Cultural Centre is located to the rear of the famous ‘Three Kings’ monument, and the open-air courtyard is a delightful setting for the two concerts which are quite different from one another. And moreover, admission is open to the general public free of charge as the Chiang Mai Music Festival's customary gift of music to the community. All the artists will come together on Sunday February 20th at the Chedi Hotel at 7.00pm where, after a cocktail reception, they will perform a series of shorter pieces by Liszt, Schubert, Beethoven, Chopin and Brahms. This concert-recital is by special invitation only and is not open to the general public. In addition, there will be outreach work during the Festival period, with master-classes and recitals in locations such as local schools and other government institutions. The Festival has been assured by the sheer dedication, hard work and determination of the unstoppable Anne Murase and her other two co-founders. Anne worked with vision and sheer tenacity to achieve what is surely nothing short of a small miracle. Alongside this, there has been ever-important money and awareness raised by the Friends of the Chiang Mai Music Festival, which is a dedicated financial support group organized by the Festival Adviser and the Murases as a year-round musical presence in our midst with its own series of superb performing artists. Their generosity and continued dauntless support has been invaluable over the past year. Long may it continue! Also and very importantly, the Festival has been wonderfully supported with generous sponsorship by the Embassy of the Republic of Korea to the Kingdom of Thailand, by the Municipality of Chiang Mai and the Chiang Mai City Arts and Cultural Centre, by the Chedi Hotel and, since its inception in 2006, by Siam Music YAMAHA Co., Ltd. Let us hope that the Chiang Mai Music Festival will remain an annual musical presence with the continued and absolutely essential continued support of many. A great musical experience awaits us all!